Holstein Canada is pleased to announce that both a Certificate of Superior Accomplishment and a Certificate of Recognition will be presented at the Annual General Meeting in Quebec City, QC on April 14, 2018. Doug Blair of Cobble Hill, BC will receive the Certificate of Superior Accomplishment, while Jean Touchette of Sainte-Françoise-de-Lotbinière, QC will receive the Certificate of Recognition. Doug Blair received a degree at UBC specializing in animal breeding, genetics and economics. He had a long career in Artificial Insemination, starting as a sire analyst at BCAI. 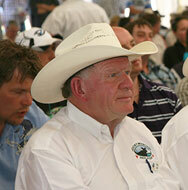 Doug co-founded Western Breeders Services (WBS) and was a founding member of Semex Canada. WBS became Canada’s largest exporter of frozen embryos. Doug remained CEO of WBS, which became Alta Genetics, for 35 years. 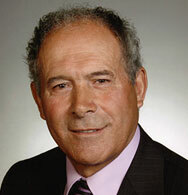 After his retirement, he remained a Board Member allowing him to continue to serve in the industry. His passion and interest in cattle breeding will never retire. Doug served as chairman of many Canadian and International Associations such as National 4-H Foundation of Canada, Alberta Dairy Herd Improvement Board and CDN. Doug is a risk taker and was never afraid to initiate, grow and develop the market. 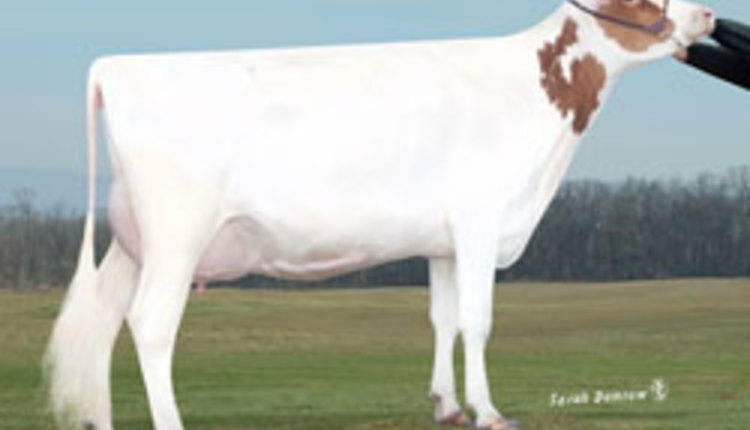 Doug is a believer in Canadian genetics and always promoted the Canadian cow and programs that verified that she is a great cow. He is one of Canada’s greatest advocators for our dairy industry. Doug is a mentor to many people in the industry; many would love to have his memory for cow families, his ability to see the genetics that breeding can create and his entrepreneurial skills to become a success in our industry. Doug was presented with many outstanding awards including the Order of Canada in 1993, Canadian Agriculture Hall of Fame in 2003, Honorary Klussendorf Award at World Dairy Expo in 2007, and CDN industry Distinction Award from CDN in 2008. It is Holstein Canada’s honour to commemorate the accomplishments of Doug Blair with the Certificate of Superior Accomplishment. Jean Touchette’s guiding principle for his exceptional career as a Holstein Breeder is “personal achievement is not enough; success must be shared.” He developed a deep passion for purebred Holsteins in 1961 when he bought a farm and a few purebred Holstein heifers. For Jean, shows are a privileged place and time full of encounters, stimulation, celebration and a very important place of learning, especially for the next generation. As an official judge, he travelled to all corners of Quebec, to Ontario, the United States, Morocco and to several countries in Europe. Jean was involved in several committees for selecting and training judges, as well as show ethics. Jean was an active member of his local Holstein Club for many years, and became provincial President in 1977. He was the founding father of Expo Printemps Québec which celebrates 40 years of success in 2018. Under the well-known prefix Duregal, Jean received his Master Breeder Shield in 1989 and bred the very popular Duregal Astre Starbuck. Jean is visionary, daring and persistent. He has always convinced his fellow producers to get involved new projects. His motto is Love + Dedication + Tenacity = Success. By being true to his convictions, Jean opened doors that have helped the recognition and the marketing of Quebec Holstein cattle around the world, including taking the first “State Herd” to the World Dairy Expo. It is Holstein Canada’s honour to commemorate the accomplishments of Jean Touchette with the Certificate of Recognition. Both incredibly prestigious and distinguished awards, the Certificate of Superior Accomplishment and the Certificate of Recognition have only been awarded a combined total of 25 times since 1954. Both awards recognize qualities and activities such as: enhancing working relationships; promoting the breed, the Association, and/or Association programs; mentorship and leadership; education; and time and contribution significantly over and above what is considered “part of the job”. The Certificate of Superior Accomplishment recognizes these qualities and activities with a national/international impact, while the Certificate of Recognition recognizes these same qualities and activities with more of a provincial or regional impact.